Looking for advice on where to purchase complete struts and shocks to upgrade the suspension on my 06 LT Let me start with a bit about what im trying to achive. I race 24 Hours of Lemons cars in the south east. Our 4cyl fwd non turbo crap can race car is aproximatly as fast as my LT cobalt. Im looking to put together a car for me that aproximates the performance of the above mentioned Lemons car so i can go pre run events at CMP Road Atlanta and Barber in instructed HDPE events so i can get a real feel for the track and get instruction from a ride along instructor. With a 160k on the car the stuts and shocks are sorely in need of replacing. I also understand that at this point just about ANYTHING brand new will be an improvement over whats in the car now. That being said,where would you recomend buying upgraded shocks and struts from? Who has good prices? From looking at the stickies i have learned that all strutvand shock options will bolt in. Not lookimg to break the bank here or go coil over route just looking for better than whats in the car now. Im thinking 2.4 NA or 2.0 SC thoughts, recomendations? Get fe5 turbo shocks and struts from rock auto. Cheapest place. What is your lemons car? Fe5 and Fe3 struts are unavailable at Rock Auto any other suggestions? Is seems like every where i look only the cheap Fe1s are available. Yes they are available. I just looked. 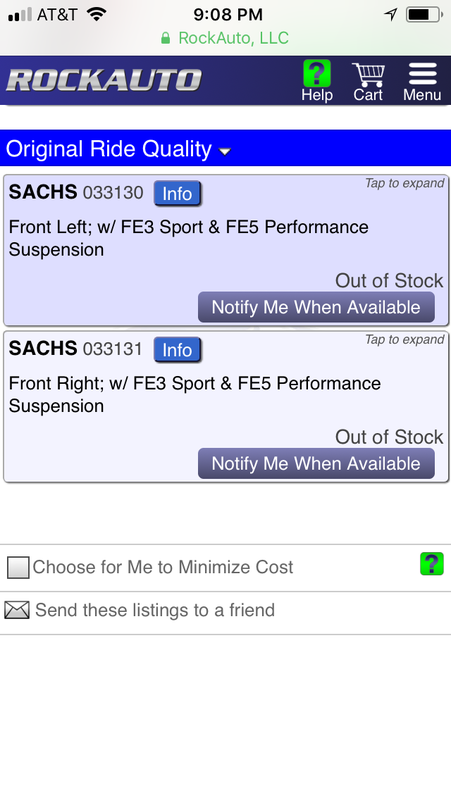 If you are looking on Rock auto you may not find FE5 springs shocks for LT so you may need to select appropriate year Turbo Cobalt to find the listing. You mind posting up a link or part number so GMjonn knows what to get? 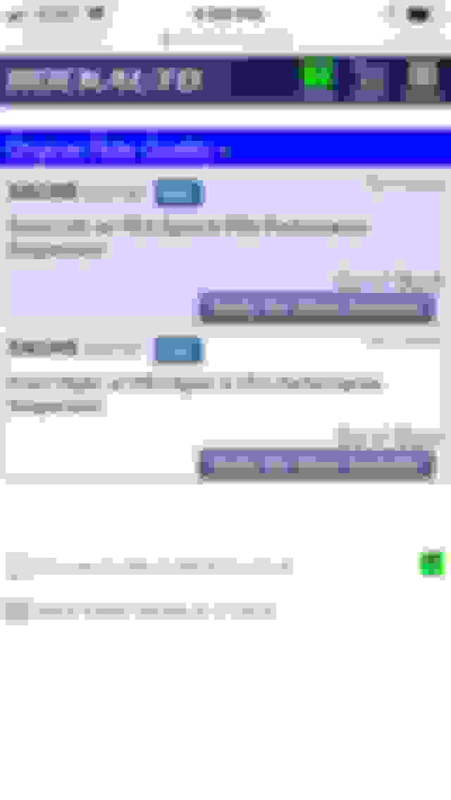 ^ agree with ChevyGirl, most cost effective route if you have the means to do it would be piecing the parts individually from Amazon and buying used LNF springs from the classified section. FE3 Cobalt Suspension same as G8 Suspension? ABS causing loss of traction?